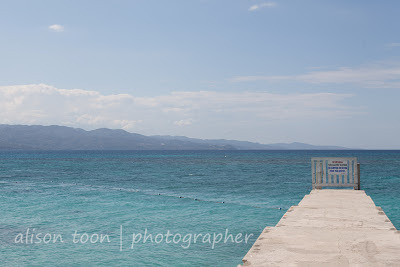 Our first full day in Jamaica, and we spent it on the beach: Doctor's Cave beach, in Montego Bay. So named, because it was opened as a public beach in 1906, donated by Dr. Alexander James McCatty for use by a "bathing club". At that time, the beach could only be reached through a cave! Now, you approach the beach by a few steps down from the road--the "Hip Strip", full of souvenir shops and taxi drivers offering to take you wherever you want to go. 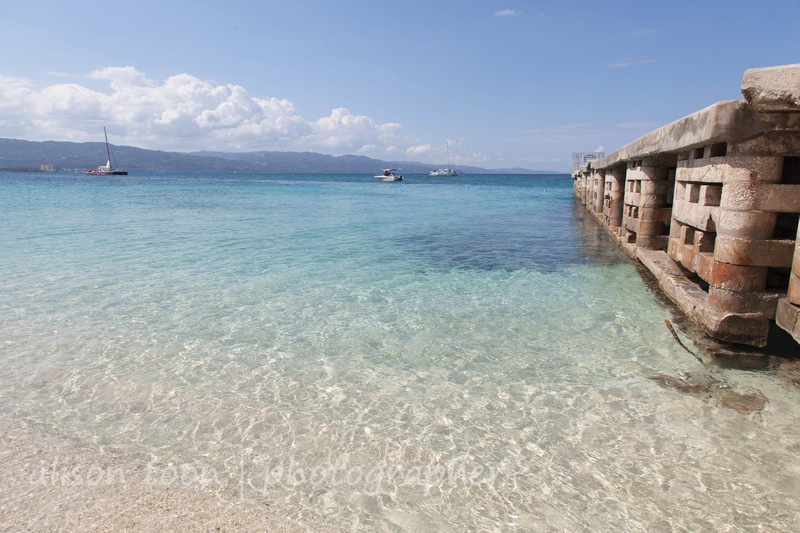 The water is incredibly clear. Turquoise and blue. The sand is almost white. 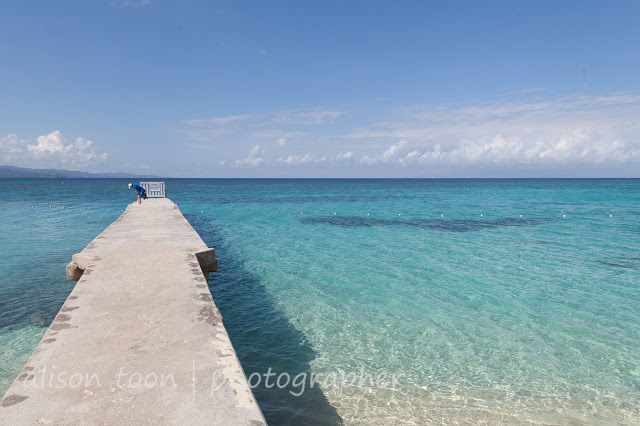 Fishes swim close to shore; there's coral and snorkelling to see the fish and other sea-creatures. We arrived mid-morning, and the beach was almost empty. Beautiful, quiet, calm and oh-so-tranquil. This didn't last for long: two cruise ships in Falmouth, and many of the passengers arrived by bus or taxi to spend some of their seven on-shore hours at Doctor's Cave beach. And as the beach filled with sunbeds and parasols and sunbathing bodies, so it filled with vendors of beads and braiding. Oh, Jamaica! I can hear you calling!